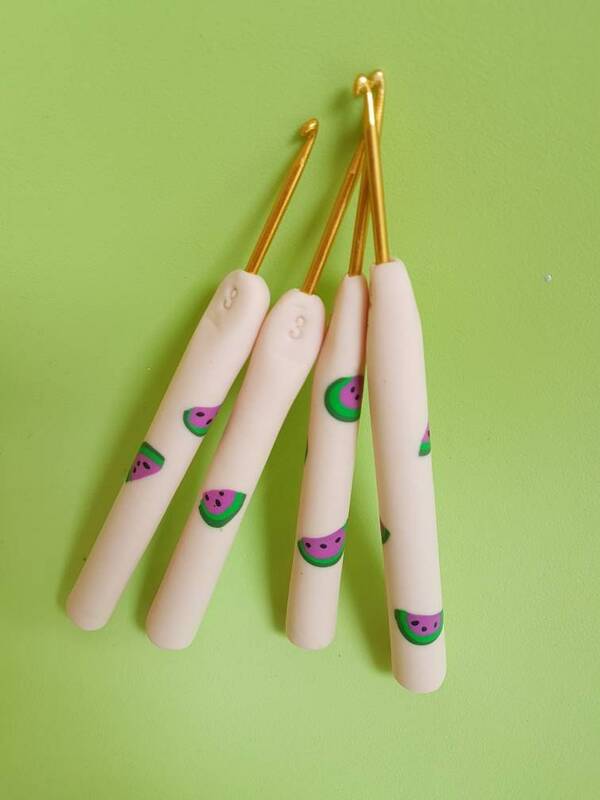 Add some cute to your collection with these watermelon crochet hooks. Handmade using polymer clay. 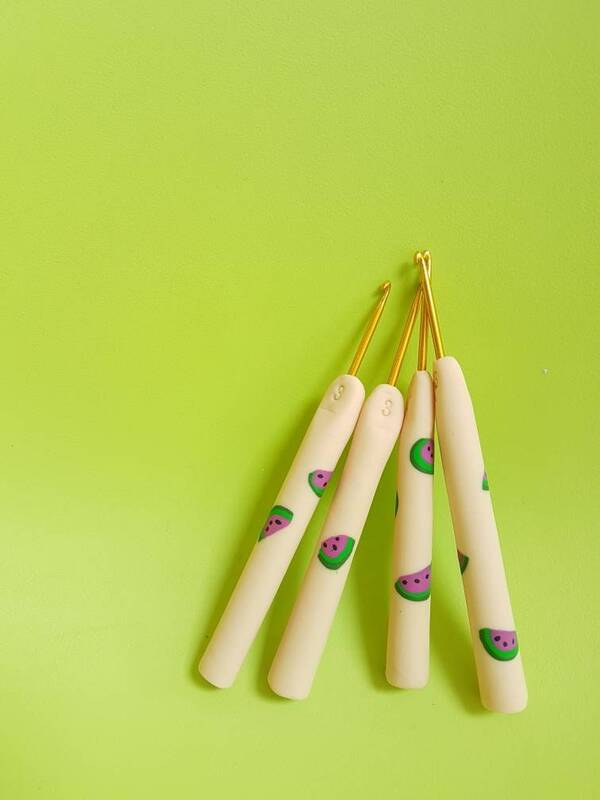 They fit beautifully in your hand, and have been sanded and buffed for a super smooth finish.